There are six grandbabies in our family. My husband's sister has four kids and we have two. Getting everyone together to take a decent picture can be a tedious task. But I really wanted to give my mother-in-law something that had representation of all her grandbabies on it. 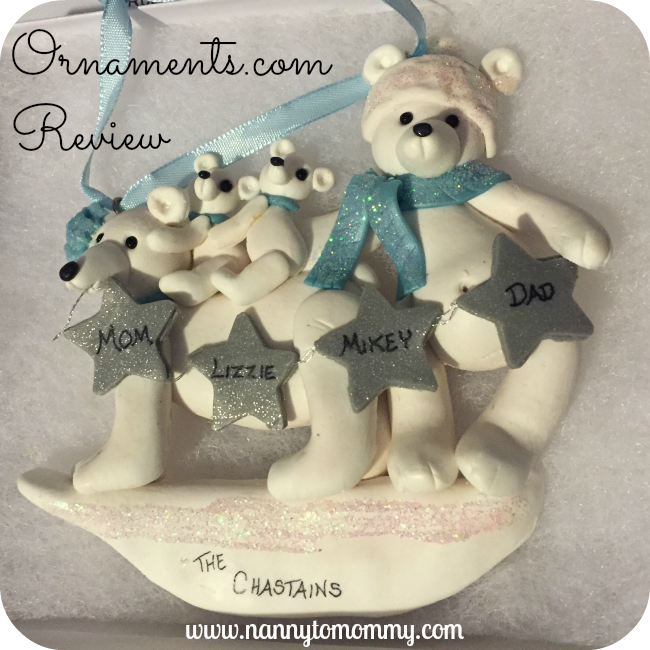 I wanted so many of their handmade ornaments, but I fell in love with the adorable 6 person snowflake ornament. I am absolutely in love with my new ornament. They have outstanding customer service and made sure I received exactly what I wanted. I love that each ornament comes in a little gift box already so you can gift them with ease. 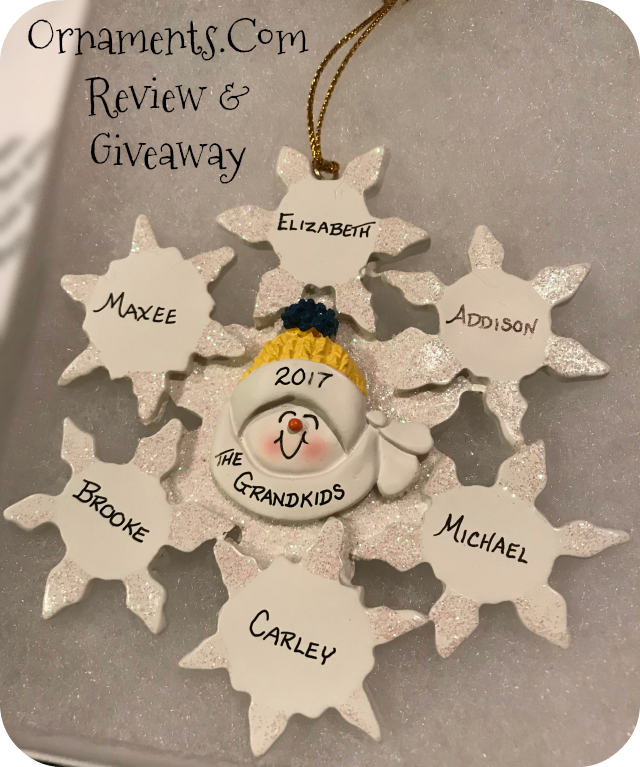 One lucky Nanny to Mommy reader will win ANY personalized ornament of choice from Ornaments.com. Entry is simple, just follow the prompts on the Rafflecopter below. Open to US only, must be 18+ to enter. Winner chosen via Random.org through Rafflecopter. All winning entries are verified. Please follow us on Facebook to stay up to date with our current giveaways. Check out other featured products in our Holiday Gift Guide and Good luck! 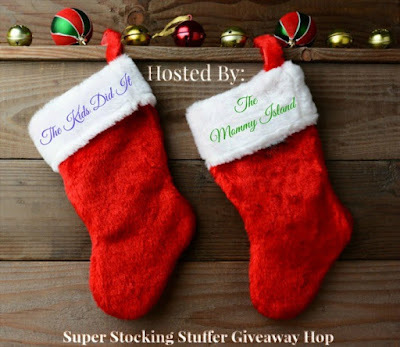 Welcome to "Super Stocking Stuffer" Giveaway Hop! This event runs November 15th to 29th, 2017! I received complimentary products to provide this review and giveaway. All thoughts are my own. If you would like to seen your product featured in our Holiday Gift Guide, please contact us. This contest will run through November 29, 2017 at 11:59 EST. No purchase necessary. US entries only. Must be 18 years or older to win. This promotion is in no way sponsored, endorsed, or administered by or associated with, Facebook. You understand that you are providing your information to Nanny to Mommy and not to Facebook. Please note that Nanny to Mommy and other participating bloggers are not responsible for sponsors that do not fulfill their prizes. We have represented each sponsor with the expectation they will fulfill their prize in a timely manner. We will contact the sponsor regarding your prize(s). The sponsors, in most cases, are shipping their items to you directly. I will make every effort to assist you obtaining your prize. If there is an issue with a sponsor, please notify the blog you won a prize from within 4-6 weeks for assistance, after that we may be unable to assist you. I would love the Panda Family ornament. I'd like to get the Tennis, Caucasian Male ornament for my grandson! I love the Elf with Santa's List Christmas Ornament!! It would be for our family for our tree this year!! I like the 2017 Penguin at the North Pole ornament. I would get the Basketball, Male, Blonde for my son. I would choose one for the memory of my grandson who was born sleeping last Dec at 39 weeks. I like the "Black Bears in Train Family of 6 Ornament". I would like to get the Cardinal ornament, it's our family bird. I would get the polar bear family of 4 ornament for myself/my family. We don't have any family ornaments yet! I like the 2017 Snowflake Ornament | 5 Large Snowflakes for our tree. My favorite is the 2017 Snowflake Ornament | 4 Large Snowflakes! I'd like the Cat Lover | Brunette Female ornament for myself to hang on my tree. Thanks. I would get the 2017 Our New Home. I would keep this for my tree. We just moved into our new home a few months ago. I love the buying a Christmas tree family of 4 ornament! I like the Front Door with Snowman Personalized Ornament. It would be for my family's Christmas tree. I think I'd get the Around the Piano Ornament, Family of 4 People! I'm not sure though.. so many cute ornaments! I would get the Family Decorating Tree, 6 people for my mother in law. I really like the beagle ornament! The "Our New Home Ornament" is the perfect gift for my spouse! He found us a new house, and this is our first Christmas here. He'd love it! I love the the Building Snowman - 4 people! I love the Around the Piano for 5 people! Perfect for our fam! I like the xmas baby bear with blocks ornaments. It is so cute. I like the Americana Star with Flag Ornament. That would be for my Dad. I would like to get the 2017 Snowflake Ornament with 4 Large Snowflakes. It would be for my mom and dad. I would put all their grandkids names in the snowflakes. It would make a cute little Christmas gift for them. I would like to get the Luminous Ornament for my Mother. I would get the African American Male Soccer Ornament for my son. Every year I get on new ornament that shows "our family". With it being just myself and my three kids, I love the 2017 Snowflake Ornament with 4 Large Snowflakes :-) Prefect for us! I would choose the Student Desk with Smart Phone. My daughter is a senior and just found out she was accepted to the college that was her number one choice. I am thrilled for her and want to celebrate the holidays that much more. I would love to get the cheerleading girl for my daughter!